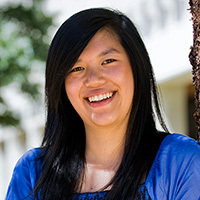 Why did you choose to study at Monash University? "I always had a passion for education. I got an almost perfect VCE score of 99.85 and in 2009 and all my friends were saying: 'Why are you studying education? You could get into anything'. A lot of people assume that if you get a good score you will automatically opt for the degrees with high ATAR scores, like medicine or law. But I was pretty determined to pursue education. Education is undervalued as a profession. When you think of how important education is in helping people realise their potential and having opportunities, it's crazy. I can't think of any better field to work in." Highlights of your time at Monash University? "It has been such a privilege to have taught in South Africa. I will always cherish the opportunity of getting to know the incredible students and people of South Africa, and teaching in a tiny portable classroom with fifty students scattered around the room with absolutely no resources. Being immersed into an entirely different cultural context has reinforced the fact that education is key to empowering individuals." If your course included/s professional placements, how has this benefited you both personally and professionally? "The South African placements – in two different schools in Johannesburg, a private Christian school and a local government school with majority of the students coming from families who rely solely on government social grants – were of significant benefit in terms of personal and professional growth as an aspiring teacher." "I'm now a full-time teacher at Balwyn High School in Melbourne. I teach Year 11 and 12 accounting, as well as Year 9 commerce. The first few days as a teacher only reiterated how exhausting but simultaneously rewarding teaching is."